When Chrome OS first appeared, it was practically useless without an internet connection. Now, an offline Chromebook is no longer the functionless brick it once was because there are dozens of web apps with offline capabilities. 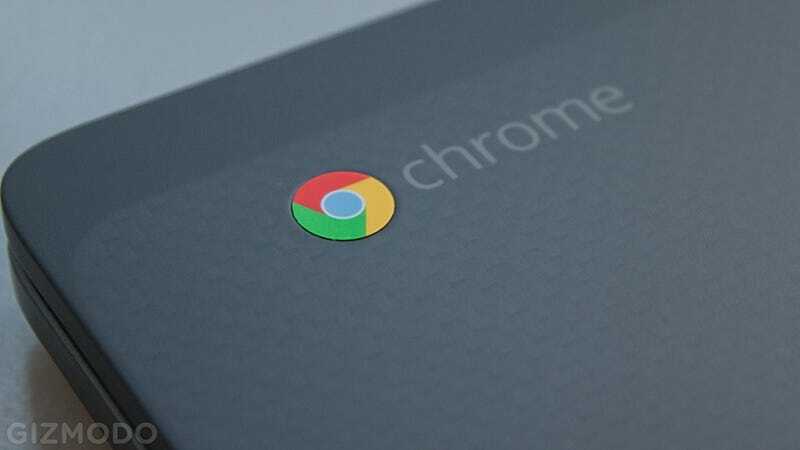 Here’s everything you can do today on Chrome OS without online access. As you might expect, Google is at the forefront of adding offline features to Chrome OS. Google Drive had offline support for a while, and it’s great to use. You can create, view and edit files, with changes automatically synced back to the cloud as soon as connection is restored. You need to set this up ahead of time, though. From the main Google Drive interface, click on the cog icon on the right, then choose Settings. Tick the box next to the Offline heading and the sync starts with a pop-up notification. There are some limitations, but most Google Drive features are still available. With Gmail Offline and its optimizer extension installed on your Chromebook, you can compose new emails and search through a cache of older ones, though obviously you can’t do any sending or receiving until you’re back online. First, select the Allow offline mail prompt to start downloading messages. You can choose to sync a week, two weeks, or a month’s worth of emails using the simple settings pane, and all your labels and inbox categories are carried over as well. You can move, archive, and label messages using Gmail Offline too (these actions are synced to Gmail when connectivity returns). Pocket has an integrated offline mode available, which mean you can catch up on your read-it-later queue on your Chromebook without even a hint of WiFi. The syncing happens automatically when you launch the Chrome app, although it doesn’t work with videos for rather obvious reasons. There’s no such offline functionality for Instapaper, unless you load up all the articles you want to read in separate tabs before you lose connectivity. Google Keep can work without the web, and syncing is done automatically. You can use either the Keep website or the Chrome app to get at your notes. Plenty of Chrome OS games work offline. To find them, go to the Chrome Web Store, and choose Games, then Chrome Apps, then Runs Offline from the left-hand pane. Once you’ve installed the games of your choice, they’ll load up on Chrome OS with or without an available internet connection. Cut The Rope is one of the best known offline-ready titles, while there are several versions of Solitaire available, and an awesome Free Rider HD Offline Editor to play around with too. Bear in mind that more complex games are going to use up more of your Chromebook’s local storage. If you have photos stored locally on your Chromebook that need editing offline, then Pixlr Touch Up from Autodesk is one of the simplest options out there. There are plenty of other alternatives. Take a look at Polarr Photo Editor 3 or Piconion Photo Editor, for example, which come with more advanced features. Open up Pixlr Touch Up and you can apply a range of quick fixes, from cropping to blurring, as well as a number of Instagram-style filters and effects. A text overlay tool is included in the app too. As yet, there’s no offline support for the powerful Google Photos, but it wouldn’t be a surprise if Google added it. You can open movie and music files from local storage, but there’s more than that. In the Google Play Movies app, for example, each of your purchased titles shows a small download button you can use to sync it for offline viewing later on (head to the settings page to configure the download quality). Songist plays tracks from local storage and doesn’t need an internet connection to load or run. Just make sure you download the songs first. Google Play Music doesn’t have an offline mode at the time of writing, and nor does Spotify’s web player, but as we’ve mentioned there is a native player for local files.